SA Car Wreckers Adelaide is a premier wrecker in South Australia that will pay you up to $9,999 cash for your car. Get Cash for Wrecked, Damaged, Old, or Accident Cars with SA Car Wreckers Adelaide!!! Wrecked car owners get the exact services they require when Car Wreckers Adelaide is their choice in an ‘SA Wrecker’. We are car wreckers that offer assured services that are complimentary services designed to maximise the value of selling a wrecked, scrap, damaged, or accident car, truck, van, or SUV. We provide our customers with free wrecking and car scrapping, so they don’t have the tedious chore or inconvenience of prepping or scrapping their cars, only a quick cash sale. With us, there is no cost involved for an SA wrecker to wreck your car for cash. Only a cash payment of up to $9,999 to look forward to. Get paid cash for your wrecked car, truck, van, or SUV on the spot! Get Free SA Removals for Any Make & Condition Car!!! When you accept a quote from Car Wrecking Company Adelaide like us, a free wrecked car removal Adelaide, SA is included in the sale. We are a wrecking company that believes in making the process of selling a car quick and convenient, so we come to the location of our Adelaide customers providing free wrecked car removals at a time that doesn’t interfere with their busy days. Yes, that’s right. With Car Wreckers Adelaide, our customers receive free car scrapping in the Wrecking Yard. 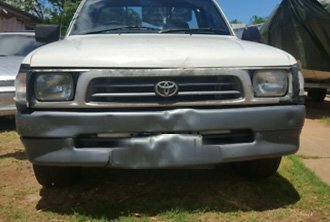 We are SA wreckers that offer our customers top cash to wreck their cars in Adelaide. Well, we don’t cut into their cash payments by charging for our wrecking or scrapping services. We love to be the leader in high prices for wrecked cars, trucks, vans, and SUVs and love providing services that are second to none. When we are your buyer, expect the best sale for your car, truck, van, or SUV. Why Choose SA Car Wreckers? When we are your choice in a removal company, you have a legitimate buyer. We are SA wreckers that lead the way in quick and courteous services that add to the sale of your car. Our company is one that is a team of experts that enjoy what we do and enjoy providing the bestselling experience for our customers with any make and condition of a car. We provide many services, including eco-friendly services like green car disposals. Instant cash payments – We arrive at the location of our customers with up to $9,999 cash in hand. Free car removals – We are your local courtesy car removal company Adelaide, SA. Free car wrecking – We don’t charge car owners to wreck their cars. At Car Wreckers Adelaide, you have an instant buyer for your wrecked car. QUICK QUOTES, as well as more information on the services “Car Wreckers Adelaide” provides. It can be obtained by calling the number below. Quotes are also provided through our Get a Quote form at the top right of this page. Call us at 0477 413 136 for a top cash quote of up to $9,999 for any make and condition of car, truck, SUV, or van.